How Do I Choose the Right Offshore Investing Opportunities? There’s a lot to be said for including offshore investment options in your overall portfolio strategy. International investments often provide opportunities for financial growth that are hard to come by in a domestic setting. There are also certain tax advantages that allow you to utilize current tax laws and keep more of those returns. While these elements are important, you should realize that just because an investment is international rather than domestic, that does not automatically mean it is the best choice for you. As you consider the merits of each opportunity, keep these questions in mind. Where are the Investments Based? Before you decide to buy into any offshore investment, it helps to understand the tax laws that apply to that asset. For this reason, you must identify which country serves as the host for that asset. Tax laws can vary widely, and some countries offer asset protections for international investors that are not found elsewhere. If you find the laws in a given nation to be somewhat complicated or the level of protection provided to investors like yourself to be inadequate, you would do well to turn your attention to opportunities available in other lands. Keep in mind that you also want to understand how securing assets in a given country will impact your domestic tax liability. Once you have a firm grasp of the tax rules and obligations that apply in the home country of the asset, it is easier to gauge the effect owning the asset will have on your domestic obligation. How Will the Asset Perform as the Market Changes Direction? 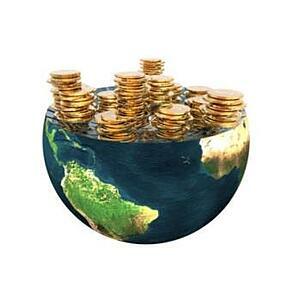 Just as with domestic investments, you want to employ projection in your offshore investing. Essentially you want to understand how the asset has performed in the past in different market conditions, assess the current market and then use the data to get an idea of how the asset will perform as the market begins to move in a certain direction. At all times, your projections must be rooted in factual data. It does no good to focus on how well an asset will perform in a bear market if the market is expected to become bullish and remain that way for some time. Your goal is to determine if the asset provides a reasonable return based on what you think will happen with the market and the level of risk that is associated with that asset. If you feel that the asset is not likely to generate the revenue that you hope, it may be in your best interests to turn your attention to a different asset with more potential to perform well in the upcoming market movement. Will the Asset Help Me Achieve One or More Financial Goals? The entire purpose for investing is to increase your net worth and provide financial security. That security has to do with ensuring that you have enough money to live equitably after retirement, to send the kids to college or to provide for a spouse or partner if you should pass away. Any offshore asset that does not help you move closer to your financial goals is not really worth your consideration. Fortunately, the scope of offshore investments is very broad. Assuming that the tax climate is favorable and the level of risk is reasonable, it is possible to qualify and secure international holdings that increase your financial security. It is possible to find assets with the right combination of volatility and projected returns and incrementally increase the value of your portfolio. Always exercise patience when evaluating the potential of any offshore asset. Consider each aspect of that asset in light of what you hope to achieve. Taking your time will make it easier to avoid costly mistakes and increase the odds of being very happy with the results.